A NSF funded research team has reached a subglacial lake and retrieved water and sediment samples that may contain microscopic life that has been isolated from direct contact with the atmosphere for thousands of years. NSF, which manages the United States Antarctic Program, provided over $10 million in grants as part of NSF’s International Polar Year portfolio to support the WISSARD science and development of related technologies. The National Aeronautics and Space Administration’s (NASA) Cryospheric Sciences Program, the National Oceanic and Atmospheric Administration (NOAA), and the private Gordon and Betty Moore Foundation also provided support for the project. 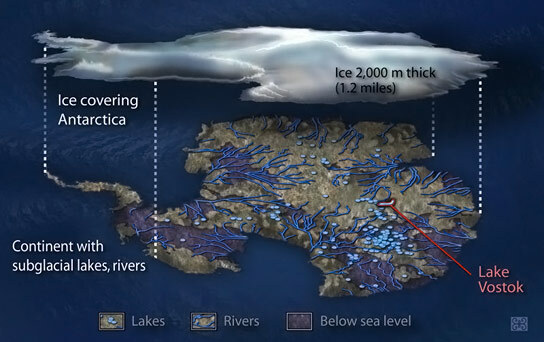 The approach to drilling was guided by recommendations in the 2007 National Research Council-sponsored report, “Exploration of Antarctic Subglacial Aquatic Environments: Environmental and Scientific Stewardship,” aimed to protect these unique environments from contamination. Be the first to comment on "Researchers Retrieve Water and Sediment Samples from Subglacial Lake Whillans"